Valentines day can get pretty expensive if you're heading out for a meal and having my leg in a plaster cast at present means it's a little difficult getting around so for us this year it's Valentines dinner at home. We're hoping to get out and about in the next few weeks for a few more Nottingham food reviews once the cast comes off but for Valentines we would often rather stay at home for better value. 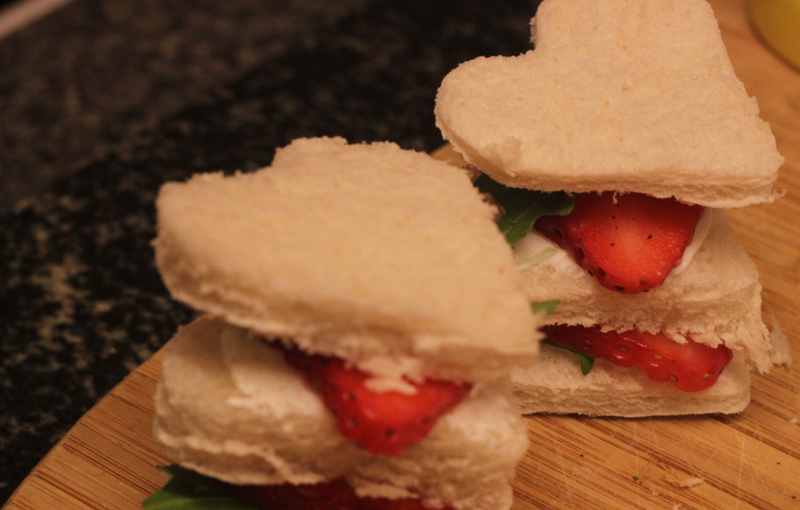 As a little treat this year we decided to make up some Strawberries and Cream Valentines Sandwiches thanks to a recipe we saw featuring a collaboration between Roberts Bakery and the nutritionist Dr Carina Norris as featured at the bottom of the page. Although adding our own little twists on the recipe by using our favourite low fat cream option- Quark to make a nice and fruity sandwich. 1. 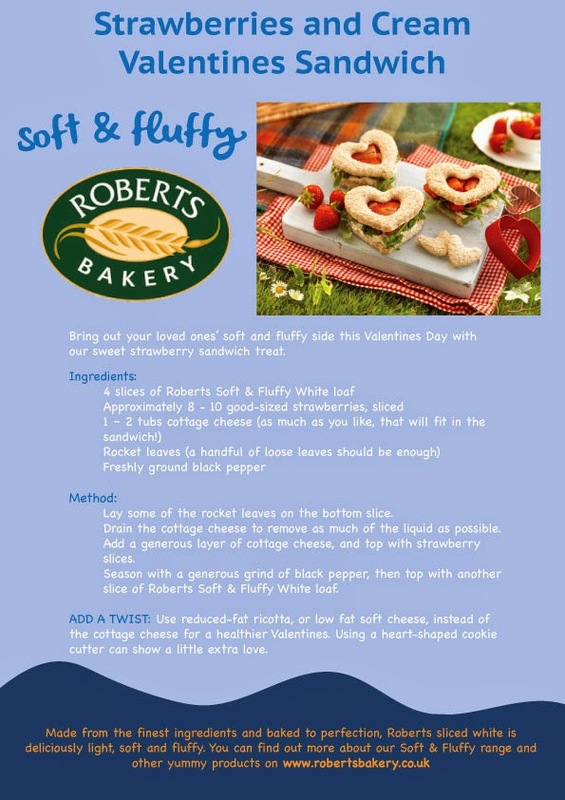 Using a small, hear shaped cookie cutter we cut out 4 love hearts from each slice of the soft and fluffy Roberts bread. 2. We added a nice dollop of vanilla Quark to 8 of the cut-out bread hearts and then topped these with a few small rocket leaves before topping with a slice of strawberry. 3. We seasoned our strawberries with a generous grind of black pepper before creating double deck sandwiches and topping them with the final 4 heart-shaped cuttings to create a lovely little valentines treat- great served with that bottle of Prosecco that your Nan bought you for Christmas. Light and fluffy thanks to the bread with the sweet zing of the strawberries these were a lovely little Friday night- pre- Valentines treat. The black pepper added an additional intensity to the flavour with the peppery rocket leaves and they looked cute too. For little effort they make a nice treat and pretty much anyone could make them for significantly less than an overpriced bouquet of roses. What have you done for food this Valentines? We'd love to find out more from you.